Found 22 blog entries for April 2015. Thursday, April 30th, 2015 at 7:13am. 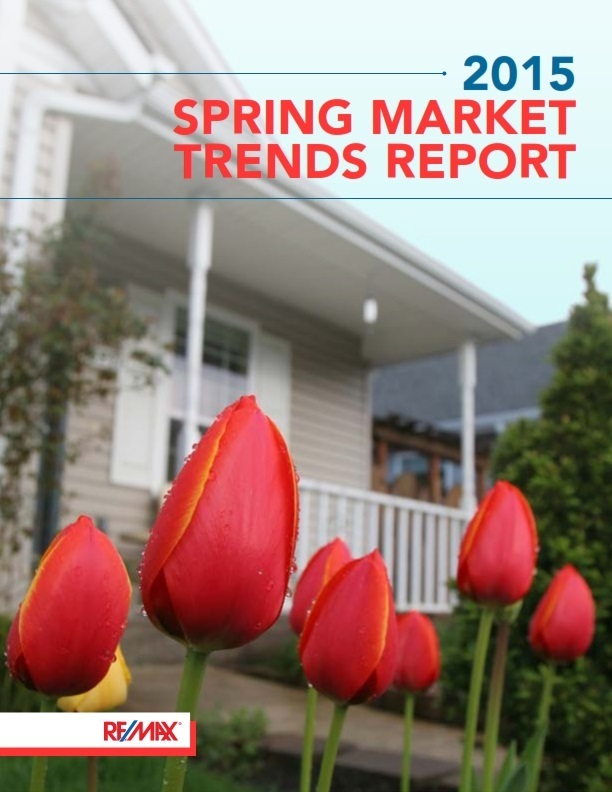 RE/MAX Canada recently published published it's 2015 SPRING MARKET TRENDS REPORT and we got our hands on the early copy and we thought of sharing it with you! The report tackles crucial data such as Average Residential Sale Price in the condo and upper-end markets. We believe these data set are crucial in helping you gauge the probability of striking a great housing deal. 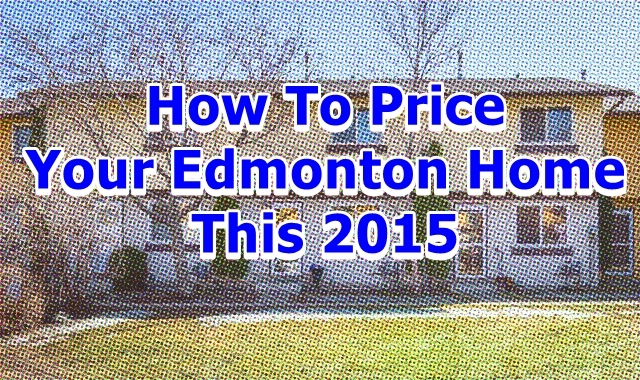 If you're thinking of buying a home in Edmonton this 2015, then all the more makes this report very important. Tuesday, April 28th, 2015 at 8:32am. 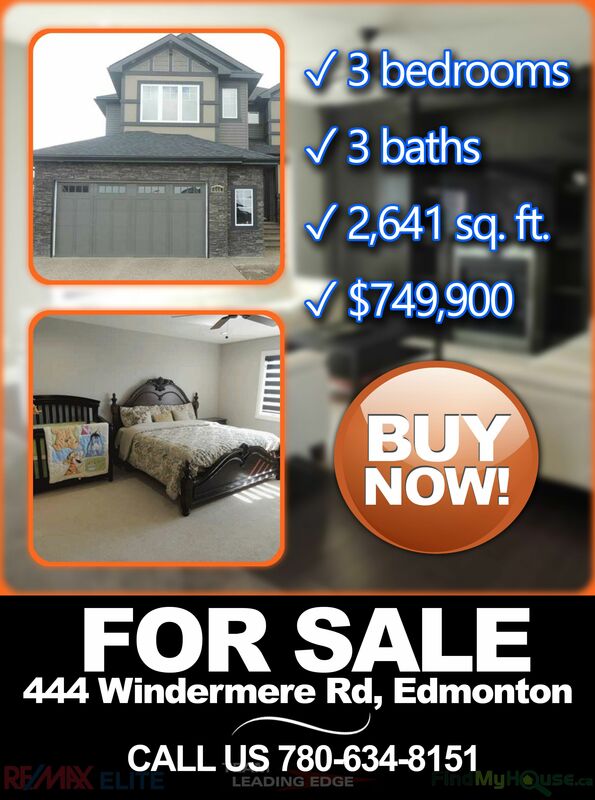 I’ll start with the obvious, we here at Team Leading Edge is in the business to sell Edmonton homes. It is the core of our professional being. For most Edmontonians, buying and owning a home is mainly due to financial reasons--or in other words, as an investment. Buy now, live on it for a couple of years then sell it later… or to that effect. It’s always fun to learn that other Edmontonians buy homes for non-financial reasons. 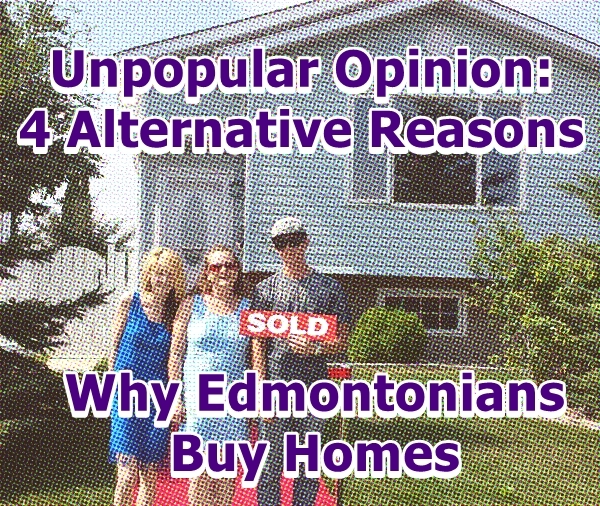 Today, we’d like to share with you 4 alternative reasons why Edmontontians buy homes. Monday, April 27th, 2015 at 4:03pm. SPRING in Edmonton means a big headache to many of Edmonton’s residents. Basement flooding. There are a few steps you can take to avoid a basement renovation taking priority on your list of things to do. Checking your sump. Making sure no lines are frozen. However, how do you make an informed decision BEFORE you buy? A super cool interactive map is how! This neat map shows the areas most prone to flooding and even deemed to be a flood risk – so you can make an informed purchasing decision. The clever “Flood Plain Map” shows the chances of being flooded out by streams, lakes and – of course – our North Saskatchewan River. You can check by Address or Legal Description. Monday, April 27th, 2015 at 8:32am. This particular article caught our attention so we thought of sharing it to you this Monday morning. What better way to start the week than to learn how to make more money! 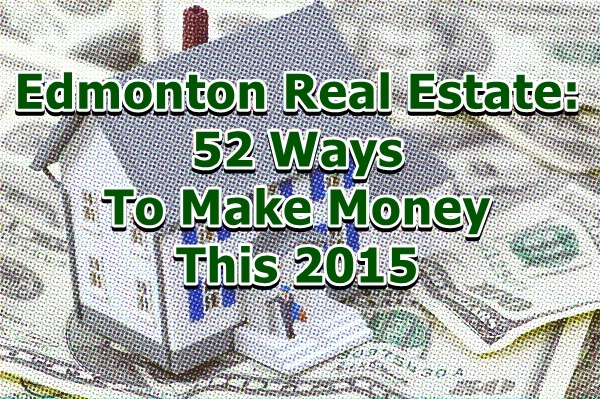 The content originally appeared on 52properties.com entitled "52 Ways to Make Money in Real Estate #19 will make you rich!". It is full of insight into how you can turn a dull piece of property into a money making machine, which is exactly what we all need in this economy. We skip straight to the juicy part and learn the secrets of the trade. Enjoy and may you have more money and success in the future! Note: Access homes for sale, foreclosures and real estate investment opportunities in the city of Edmonton through our new and improved Edmonton MLS Listings. Sunday, April 26th, 2015 at 8:42am. If you’re a new rental investor or just have bought one of our investment properties then you’re on the right track to earning more money this year. 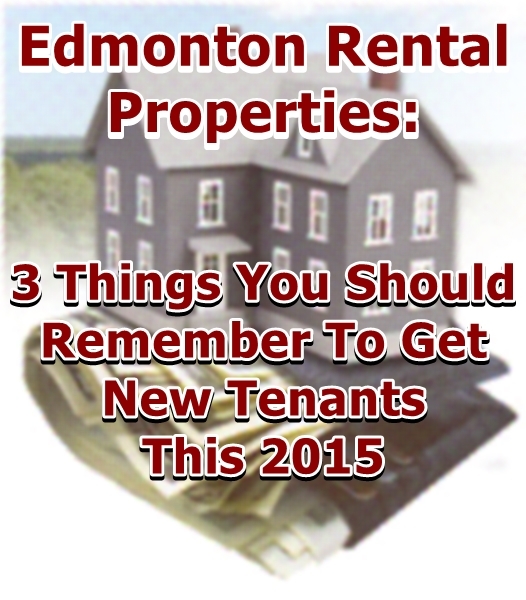 We’ve summed up 3 fundamental things to help you get new tenants for the best rental price. These are the core things that you need to remember. Since its Sunday, we didn’t go in-depth. The intention of this article is to be light and easy to read. Learn and enjoy your new investment! Thursday, April 23rd, 2015 at 11:29pm. Believe us when we say getting the right fair market value for your home is no easy task. Although there are tons of new web and mobile apps that “promote” to value your home within a few clicks and swipes, the truth is these are just pure none sense. Would you really rely on a piece of software that just pulls out dated data off the internet? We hope not! Determining the real value of your Edmonton property is best done with the help of professionals. The people that works in the real estate industry, day-in and day-out. The “human” value in real estate cannot (as of this moment in time) be replaced by mere algorithms. Thursday, April 23rd, 2015 at 6:35am. Are you looking to view several Edmonton open houses this weekend? If so, then you are not alone. Spring is the time where most homebuyers like you tend to be active in viewing home for sale in the neighborhood. Today, we at Team Leading Edge decided to help you prepare for the adventure that lies ahead. 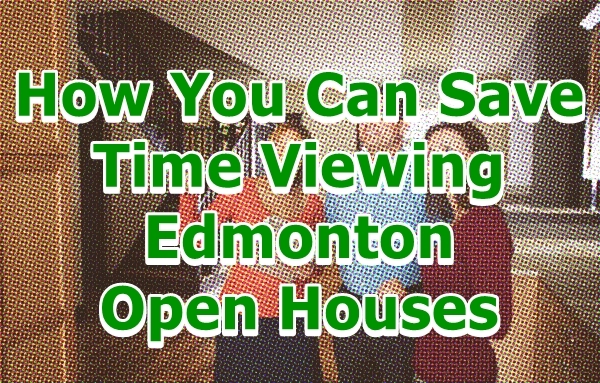 Maximize your time and productivity with these crucial checklist when checking out Edmonton open houses. Thursday, April 23rd, 2015 at 5:06am. Are you looking to settle in the beautiful neighborhood of Windermere? Take a quick tour of the house through these GIF's that we've made, specially for you! Beautiful, right? we thought so too! Check the complete details here. Wednesday, April 22nd, 2015 at 4:58am. 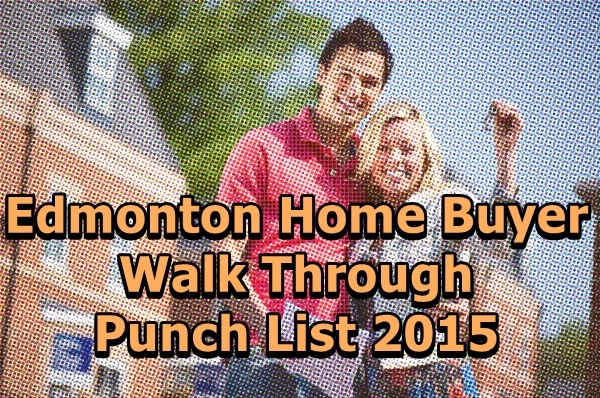 When buying an Edmonton house, the walk through is one of the most important (and final) step. It’s the time where you do your final ocular inspection to make sure everything is in order before closing the deal. Its crunch time for you and the seller to formally close the sale, if you want something fixed or replaced this is the last chance for you to request for it. Since this is really the soul of the buying process, we’ve made a basic punch list for you in order to help you facilitate this more effectively. Double check the home’s exterior to make sure that all fixtures, structures and landscaping are still in place AS AGREED UPON IN THE CONTRACT. Tuesday, April 21st, 2015 at 8:52am. Here's a beauty. Freshly listed home for sale at 1257 Cunningham Dr, Edmonton. 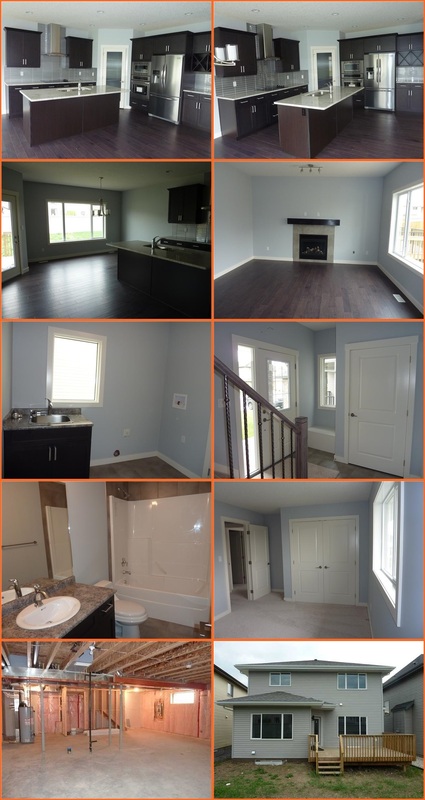 2,247 sq ft of luxury for only $539,900. Its 3 bedrooms and 2.5 baths would satisfy your craving for a perfect home. Check out the complete MLS listing information here.